With having two projects go live yesterday, I felt that it was important to give each post their own day. So today I'm going to share with you my Voyage Beneath the Sea Pocket Scrapbook Page that was featured on the Graphic 45 blog yesterday. 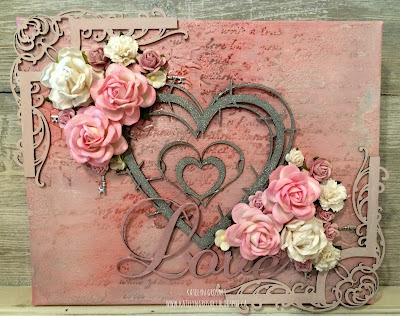 You'll want to make sure to click here so that you can see all of the photos that I took of my pocket page as well as check out Joanne's pocket scrapbook page. 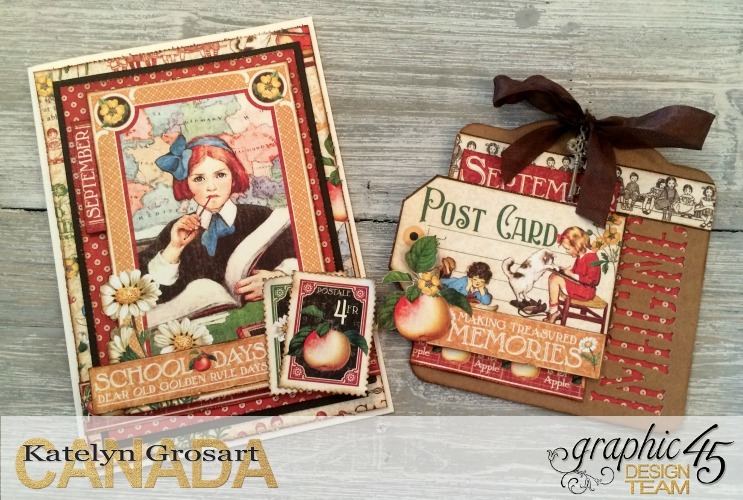 Pocket scrapbooking is currently a big trend, so I decided to use my favourite papers and embellishments from Graphic 45 to create my own pocket scrapbook page. 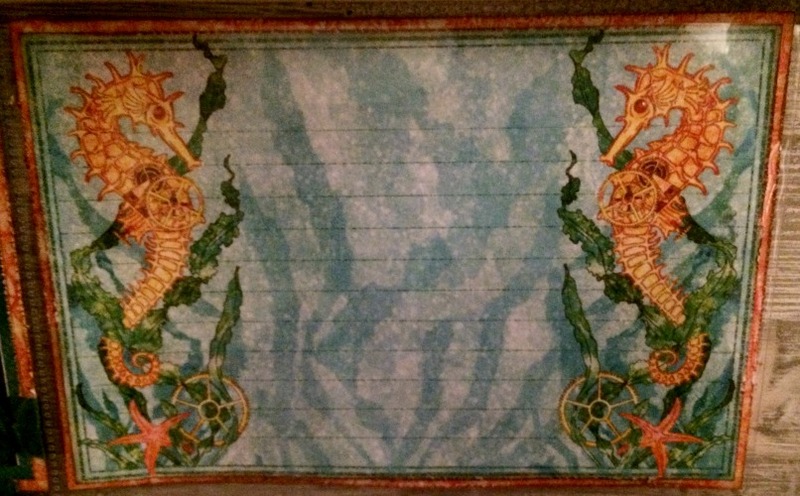 To compliment my photos from Hawaii, I used products from the Voyage Beneath the Sea collection to create my pocket page. 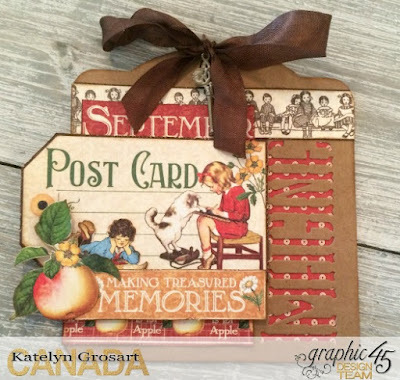 When I need a quick layout, pocket page scrapbooking makes it easy for me to get the photos scrapbooked and in my album, but also gives me a chance to still use my favourite Graphic 45 products. Tip: Don’t be afraid to layer a couple of embellishments on to the square for the pocket, this will give the page some extra added interest. Tip: Even though the journaling card is in the pocket, add some Glossy Accents to the Seahorse’s eyes and the starfish below. Thanks for stopping by and make sure to head over to the Graphic 45 blog to check out the rest of the photos of my project! 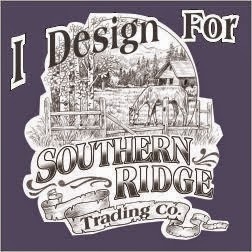 I'm back on the Southern Ridge Trading blog today sharing some more inspiration for our current monthly challenge which is "Anything Goes". With the challenge in mind I created a love mixed media canvas that will be sure to inspire you. You'll want to head over to the Southern Ridge Trading Company Blog so that you can check out all the details on how I created my mixed media canvas. While you're there, make sure to participate in our monthly challenge. You can find all of the details here on how to enter. 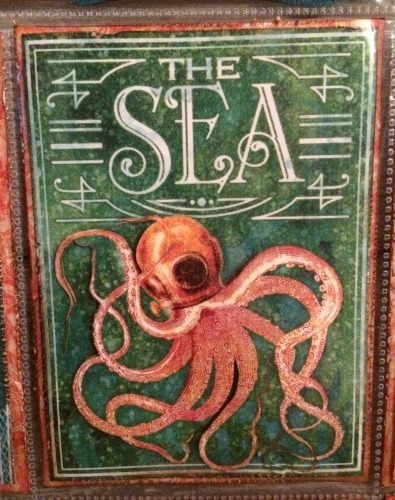 I just wanted to stop in quickly to share with you a sneak peek of my Voyage Beneath the Sea project for Graphic 45. 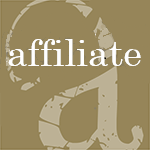 You'll want to mark your calendars for Friday, August.19th as I will be up on the Graphic 45 Blog. 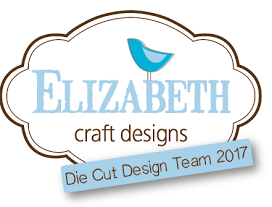 On the same day I get to share the blog with Joanne and she will also have a fabulous project to share with you. 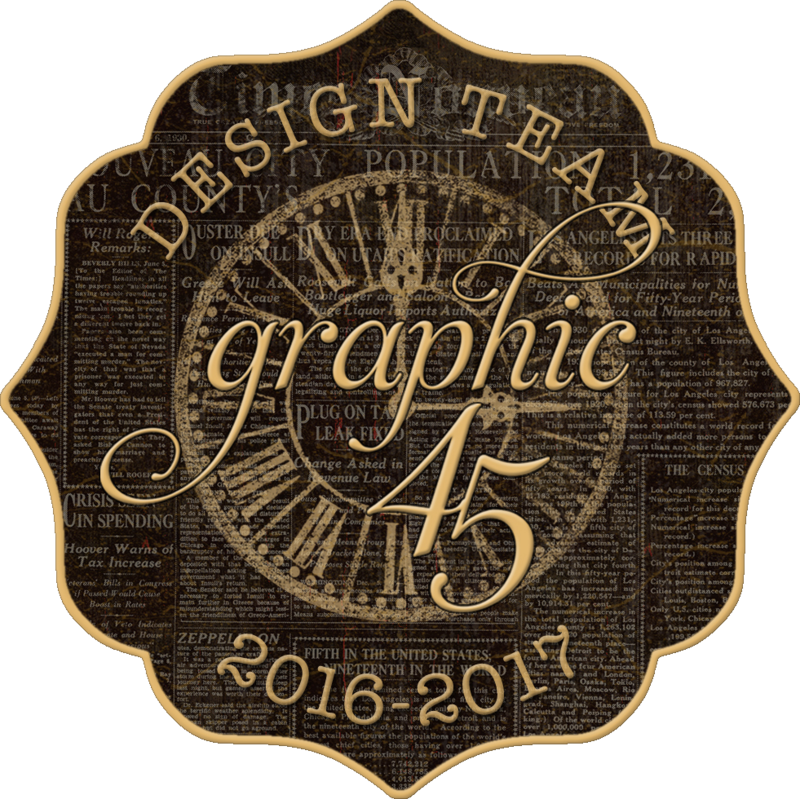 I hope that you'll take the time to stop by the Graphic 45 blog and check out both of our projects. I will also be sharing on Saturday with you some photos of my project on my blog. Today I'm up on the Graphic 45 blog today with some a fun Back to School Card & Tag set featuring the new Inspire, Create and Imagine kraft square tags and Children's Hour paper. You can head over to the Graphic 45 blog to check out the rest of the photos of my project as well as fellow design team member Nico who has also created a fantastic project. 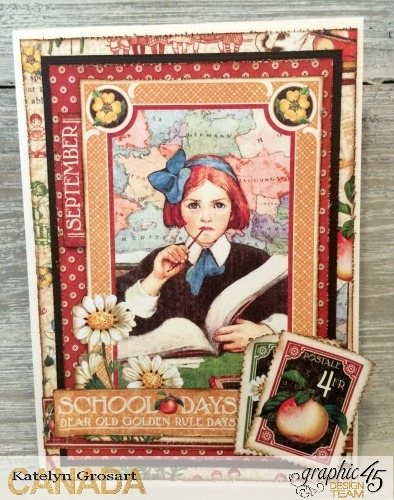 For our 60 minute project on the Graphic 45 blog this month, I went with a Back to School theme. Back to School is just around in the corner here in Canada and for others around the world back to school is already in full swing. I had lots of fun creating this card and tag set that featured paper from Children’s Hour. 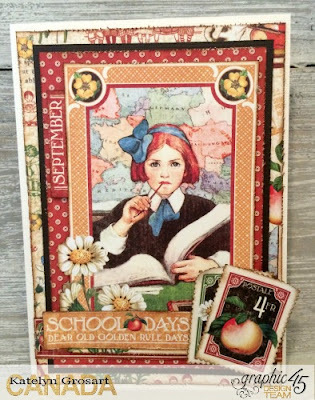 The card and tag can be given to that special someone in your life who is going back to school. Tip: To give some extra interest to your postage stamps, rolled down either the top left or right hand corners, to show a bit of the other side of the paper. Using the leftovers from the September Collective and Montage paper, I was able to create this fun Imagine tag. 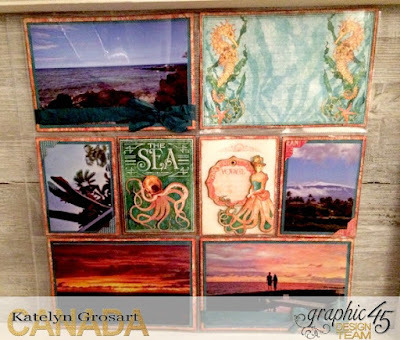 Check out How to Create a Back to School Card & Tag Set Using G45 by Katelyn Grosart on Snapguide. Thanks for stopping by and make sure to head over to the Graphic 45 blog to check out the rest of the photos of my project as well as Nico's fantastic project!